Home › Construction Spanish › Jobsite Leadership › How to act like Keyser Söze, Steven Pressfield… and my wife. How to act like Keyser Söze, Steven Pressfield… and my wife. Mrs. Red Angle has entered a 90-Day challenge at the gym. Hitting the gym at 5:30 am three times a week. Although my wife has a nearly unblemished record of ignoring any book I’ve ever bought for her, I’m trying again. I bought her The War of Art by Steven Pressfield. It’s a book about rationalization and will. The rationalization is identifying, understanding, accepting, and confronting Resistance – the part of ourselves that holds us back from doing the work necessary to accomplish our goals. Resistance is stealthy and creative and brutal as it convinces us to delay, distract and/or dissolve our dreams. 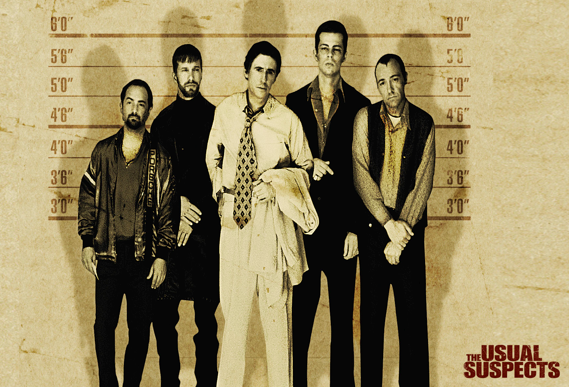 Resistance is like Keyser Söze in the classic movie, The Usual Suspects. I bought my wife The War of Art because once she recognizes Resistance for what it is – that it exists – she will be one step closer to overcoming it. The battle must be waged every day. Especially when the alarm buzzes at 5:08 on a Wednesday morning. Besting Resistance comes from will. The will to square up and fight… to throw a series of pre-dawn haymakers. 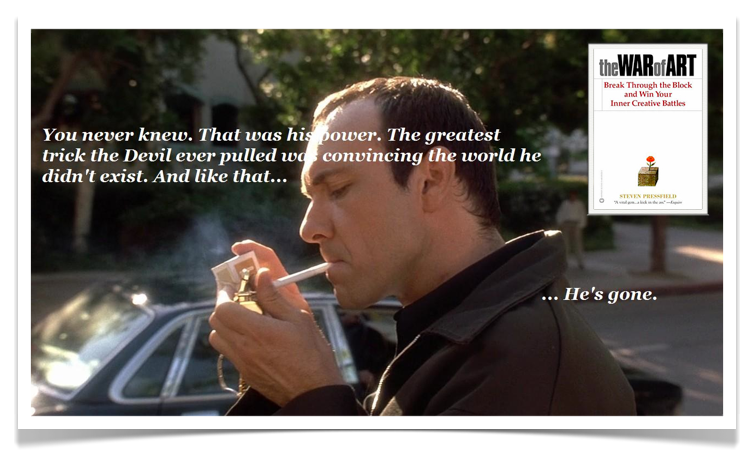 It’s like Roger “Verbal” Kint in The Usual Suspects as he describes the doomed gang of Hungarians who challenge Söze. If you enjoyed this post, please share it with your IMBD fanatics.